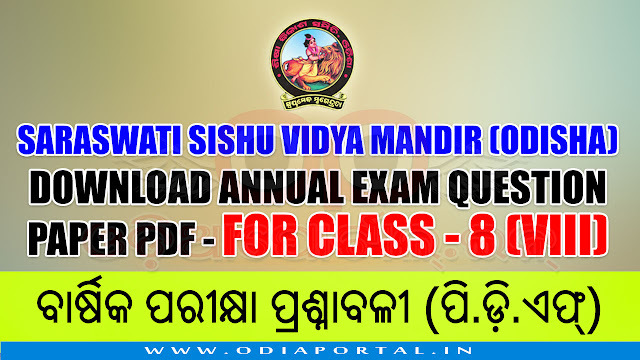 The following are all question papers of Annual Exam (ବାର୍ଷିକ ପରୀକ୍ଷା) 2018 for Class - VIII (ଅଷ୍ଟମ ଶ୍ରେଣୀ) of Saraswati Sishu Vidya Mandira. Click on Download PDF link to download the questions for free. Upcoming exam questions will be available on this page. So keep visit us.